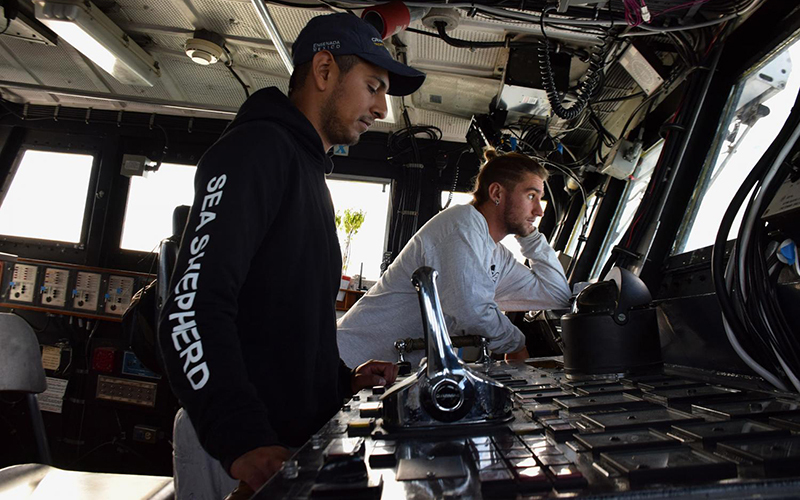 SAN FELIPE, Baja California – The activist sailors aboard Sea Shepherd’s big, white patrol ship in northern Mexico’s Sea of Cortez come from all over the world. 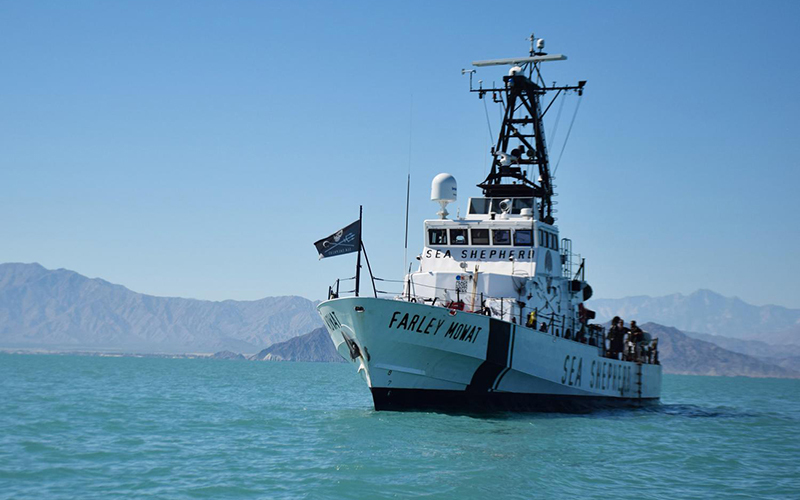 They’ve all joined the Los Angeles-based conservation society’s ship on the Sea of Cortez to help protect marine wildlife from cartel-backed poachers who use illegal fishing nets to hunt a huge, endangered fish called the totoaba. The totoaba’s swim bladder – an organ that controls buoyancy – is valuable on the black market in China. But poachers’ gillnets also kill the world’s smallest and most endangered marine mammal – the vaquita marina. “And the number of vaquitas have been going down and down and down every year. So yeah, it’s really, really sad,” said Jean Paul Geoffroy, campaign director for Sea Shepherd operations in the Sea of Cortez. 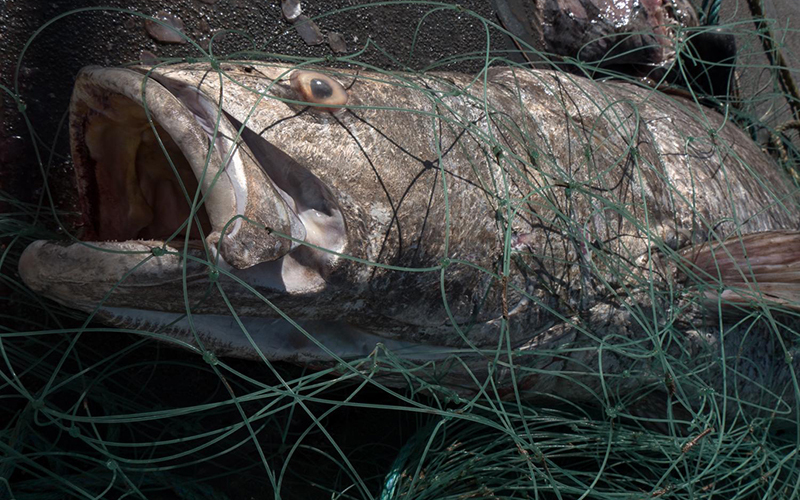 Totoaba gillnets are already illegal in this part of the Sea of Cortez. 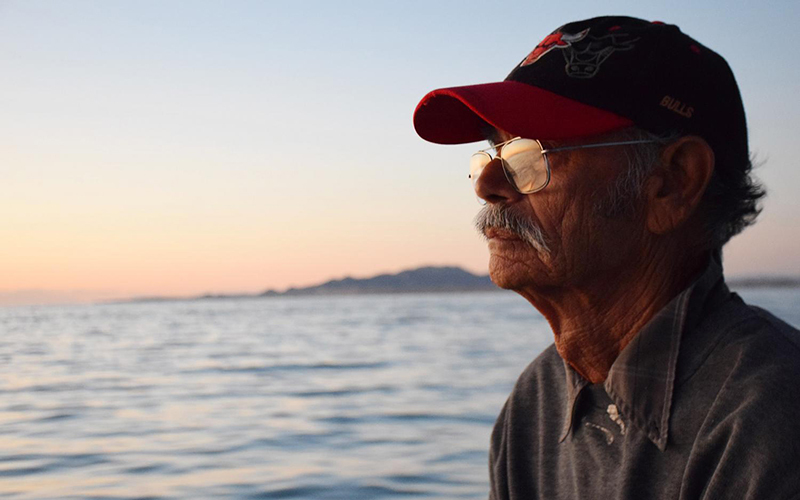 And hunting totoaba has been banned since 1975, when the 200-pound fish became critically endangered because of overfishing. “There’s a lot of demand in Asia for these species of totoaba,” said Alfonso Blancafort, Baja California state representative for the Mexican agency charged with protecting the environment (SEMARNAT). The totoaba swim bladder – or buche – is called the “cocaine of the sea” it’s so lucrative on the black market in China, sometimes worth as much as $80,000 per kilo. “As you can imagine, there is a lot of crime involved in these activities,” Blancafort said. Totoaba bladders are trafficked by the same cartels that smuggle drugs, Sea Shepherd’s Geoffroy said. Tangled, grimy piles of net spill out of disintegrating plastic bags heaped nearly 8-feet high in places. 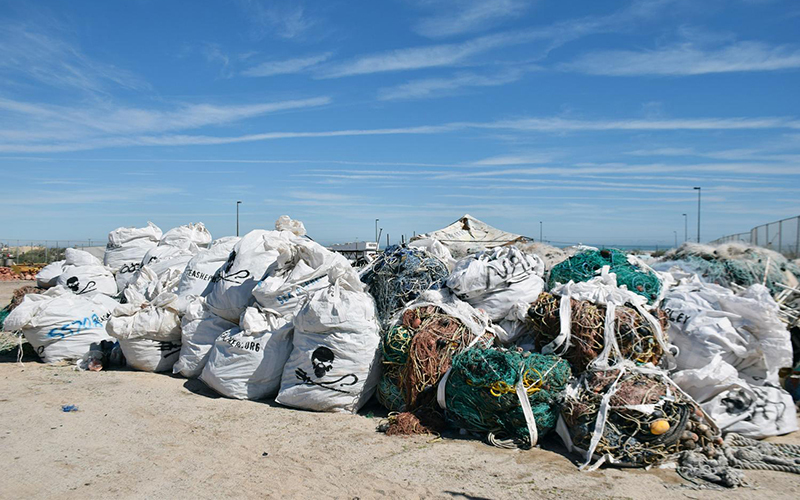 The nets will be cleaned and sent away to be recycled, so they can’t make their way back into the ocean, Geoffroy said. “It’s kind of murky, you don’t have visibility. And you’re just swimming around and hit a wall and die. That’s it,” he said. And because adult totoaba, which can be over 6-feet long and weigh as much as 200 pounds, are similar in size to the vaquita, the nets easily entangle and drown the small porpoise. “Because they breathe air like we do. It’s a marine mammal. They need air to breathe. They need to go up and breathe,” Geoffroy said. He said fighting poachers is an uphill battle. 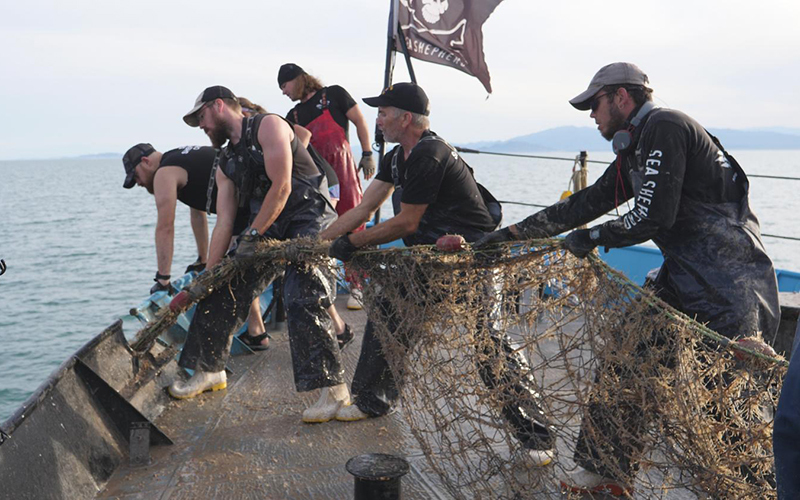 For every net Sea Shepherd pulls, another goes back in its place. A big part of the problem is lack of enforcement, he said. Mexico has made strides against poaching – it’s created a refuge area, banned fishing nets and sent the military in to patrol for totoaba traffickers. Brooke Bessesen is a wildlife researcher who wrote a book on the vaquita’s plight. She said it’s clear authorities are reluctant to prosecute totoaba smugglers. But everyone knows that poachers are still out there, she said, casting nets in the dead of night, sometimes even in the middle of the day.